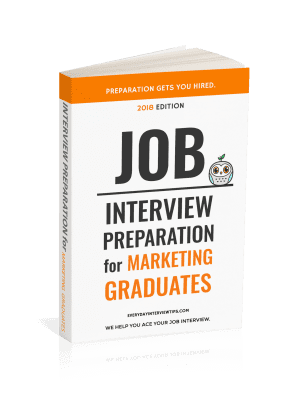 Behavioral Interview Questions are a very common part of most marketing job interviews for graduates. These questions are based on the belief that by understanding your past actions and behaviors an employer can reasonably predict what your future actions will be. The employer is looking for patterns and trends in your behavior and then considering if they match up with the needs of the company you are applying to. It is very important to provide specific examples to these types of questions. They are not looking for general answers on how you feel about a topic; they are looking for specific examples from your college and work history. Employers know that as a graduate you have limited real life experience at this stage in your career. 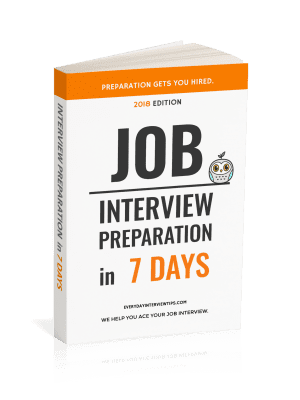 That is why they will ask you a mix of both behavioral interview questions and background interview questions. Planning / Organizational skills and Project Management – What tools or techniques do you use to manage your time? How do you prioritize brand tasks and projects? Provide an example when it was difficult to do this. Attention to detail – Describe a time where you have managed to produce quality work when you were under deadline pressure. Goal Setting and Achievement – Describe a marketing goal that you have achieved that has made you proud. Why was this important to you? What steps did you take to achieve your goal? Communication & Presentation Skills – Have you ever given an impromptu sales, marketing or research presentation? How did that go? Problem Solving – Describe a time where you needed to choose between a number of ideas? What criteria did you use? Decision Making – Give me an example of a decision you needed to make quickly and on your own? Creativity – Give an example of a time where you needed to ‘think outside the square’ to come up with a solution to a challenging problem. Adaptability – Tell me about the most stressful situation you have found yourself in at work. What did you do in this situation? Teamwork – Give me an example when you worked with a colleague who was not doing their share of the work. How did you handle it? Customer or Client Service – Describe a time where you have gone out of your way to help an internal or external customer. What did you do and what was the result? Leadership & Integrity – Who do you admire as a leader and what lessons have you learned and applied from this example? As you can see, these are tough questions to answer especially if you have not given them a lot of thought before the interview. Take some time to write out all the possible examples you could use to answer these types of questions. Try and use a variety of examples so you are not constantly referring back to the same situation. It is perfectly acceptable to use college examples to answer these questions.